dans lequel il a parcouru et visité la côte d’Asie, depuis le 35e degré nord, jusqu’au 52e; l’île d’Insu, ordinairement appelée Jesso; les côtes nord, est et sud du Japon; les îles de Likeujo et autres îles voisines, ainsi que la côte de Corée. Tr. par odre de S.E. le ministre de la marine et des colonies par J.B.B.E.**** . 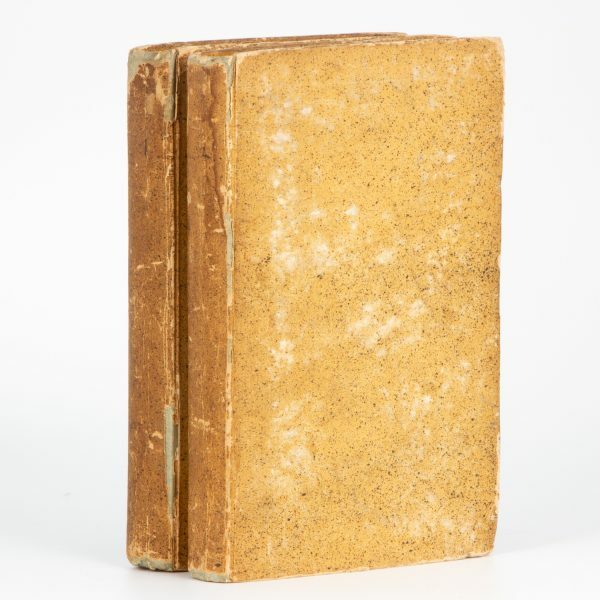 Paris : Dentu, 1807. Two volumes, publisher’s speckled papered boards, bookplate to pastedowns, pp. xxxii; 245; (3); 341 (1); seven folding charts and views of Japan, Formosa, China and Korea, occasional light foxing else very good. 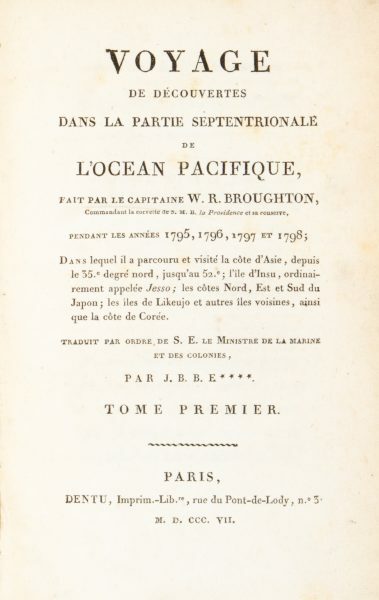 First French edition, first state, containing the account of Laxman’s voyage in the Appendix of Vol. II which does not appear in the first English edition of 1804. “In 1793 Broughton was made commander of the Providence, Captain Bligh’s old ship, and was sent out to the northwest coast of America to join Captain George Vancouver. 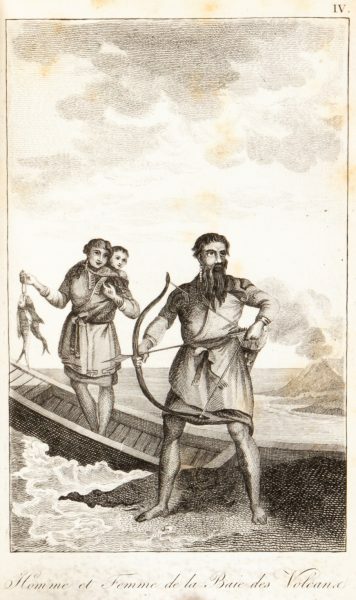 He sailed to Rio de Janeiro, thence to Australia, Tahiti, and the Hawaiian Islands, and on to Nootka Sound on Vancouver Island. Finding that Captain Vancouver had left, Broughton sailed down the coast to Monterey, across the Pacific to the Hawaiian Islands and on to Japan. For four years he carried out a close survey of the coast of Asia and the Islands of Japan. The ship was lost off Formosa, but the crew were all saved, and work continued in the tender. He arrived back in England in 1799 and, until his death, saw much further important service, for the most part in the Far East. This voyage was one of the most important ever made to the northwest coast of America. It is on this document that Great Britain based her claim to the Oregon Territory, in 1846” (Hill). 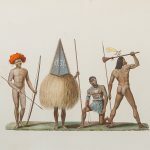 Broughton sailed from Rio de Janeiro to Van Diemen’s Land (becoming the first Europeans to visit the Chatham Islands off New Zealand) and then north to Port Jackson where they met with Governor Hunter and Captain Paterson. The ship sailed then to Tahiti and Hawaii before their important surveys of the North West coastline and then to Japan and the Far East.